Q: What is 'Laura' about? Q: Is 'Laura' based on a book? 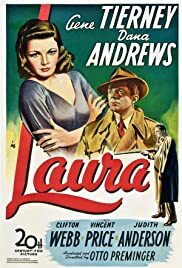 It's a classic tale of love, murder and obsession, when a homicide detective becomes enamored of the victim of a brutal murder he's investigating, in `Laura,' directed by Otto Preminger and starring Gene Tierney and Dana Andrews. The story begins with the discovery of the murder of Laura Hunt (Tierney), a young advertising executive in New York City, and as detective Mark McPherson (Andrews) makes his investigation and begins to fit together the pieces of the puzzle of Laura's life and death, the essence of who she was begins to emerge. And it gives the story an interesting twist; for after seeing a portrait of Laura, and getting to know her by reading her most intimate personal letters and diary (routine for a murder investigation), McPherson becomes obsessed with her, and soon discovers he's not alone; there was another man obsessed with her as well. Subsequently, he must determine if that obsession played any part in Laura's death. 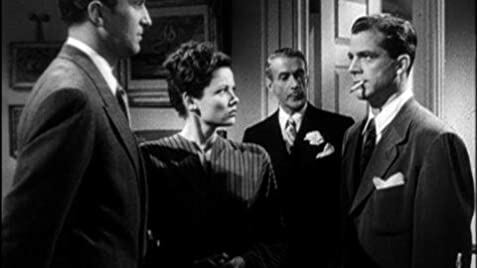 The suspects include the men in her life, Waldo Lydecker (Clifton Webb), a radio personality/columnist who helped her begin her career, and Shelby Carpenter (Vincent Price), her fiance, a man of seemingly dubious character who had recently been involved with a model who worked for Laura's agency. The list doesn't end with them, however; also in the running is a man named Jacoby (John Dexter), the artist who painted the portrait of Laura that so mesmerized McPherson, and then there's some question as to the relationship between a certain Ann Treadwell (Judith Anderson) and Carpenter that is yet to be resolved. Preminger delivers a solid mystery that will keep you in suspense until the very end, but with only enough tension to keep it interesting rather than engrossing. And though the story is believable, there are elements of the plot that develop so quickly it stretches credibility a bit. An additional two or three scenes relating to certain aspects of the characters lives (especially Laura's) would have had a significant impact of this film-- good as it is-- and with a running time of 85 minutes (on most prints) it wouldn't have been out of the question to expand it somewhat. As far as the characters, McPherson, Lydecker and Carpenter emerge fully sketched and need little development; you know exactly who they are and where they've been. This is not the case with Laura, however; Tierney's character suffers somewhat from lack of development, and as the story unfolds, she seems to get from here to there with little discernible change. What the character needed was a bit more depth and some real definition. Which is exactly what Andrews and Webb give to their characters; Webb as the flamboyant and self-assured Lydecker, Andrews as the stoic and deliberating McPherson. Price gives a notable performance, as well, but has a tendency to lapse into melodrama occasionally, which can be distracting at times. And Tierney gives a passable performance, though her acting is not on a par with her exquisite beauty. In her initial encounter with Lydecker, for instance, her pronounced coyness is somewhat diverting. Still, her presence on the screen is radiant, which makes it easy to overlook the slight flaws in her acting. The supporting cast includes Dorothy Adams (Bessie), Cy Kendall (Inspector), Grant Mitchell (Lancaster Corey), Buster Miles (Office Boy) and Frank La Rue (Hairdresser). A good mystery, but with few surprises, `Laura' nevertheless remains a classic in it's own right. It's not a perfect film (the final words spoken, in fact, are decidedly melodramatic), but it's good storytelling, and is ultimately satisfying. Saying that there was room for improvement would be nit-picking; suffice to say that it is what it is, which is a pretty good movie. I rate this one 7/10.